Put up your hand if you have ever felt personally victimized by an expensive foundation that your skin just didn’t like? I think we’ve all been there. Foundation can be a tricky thing, everyone’s skin is a little different and certain formulas express themselves better on select skin types. Dedicated time to my skin, I wanted to try Clinique’s new Beyond Perfecting 2 in 1 Foundation and Concealer. I had heard great things about the formula and the idea of 2 in 1 foundation and concealer really caught my eye, is it even possible?! My first impression of this foundation was actually at Sephora, checking out shades. They have a great selection of 27 different shades so I took my time trying to find the perfect one. I think it is important in the makeup industry right now with brands such as Fenty to have as many shades as you possibly can and to construct them as carefully as possible so that everyone can find their perfect shade. So I was happy to see such a big selection! The next thing I noticed was that the packaging is beautiful, with pretty flowers and leaves on the box and the overall product looks great. The foundation comes in a glass bottle, making it seem heavy and classy. There is also 1 Fl Oz. of product in the bottle, the average for a liquid foundation. What I found the most interesting about the product is the wand. Instead of a pump foundation like most, this one has a massive wand so that you can apply it as a concealer as well. Is this a good idea when it comes to bacteria and germs? I’m not sure, but I’m also not knocking it! Applying As a Foundation – Brush or Blender? When applying for the first time I gentled swept the wand against my skin and noticed a fair amount of product come out. I was gentle with the amount of product I used because I am always wary of full coverage foundations and you never want to use too much product! I noticed it started to dry quickly so I used my beauty blender on the one side of my face. It blended out easily and I actually didn’t mind the feeling of it on my skin, it felt very light considering the foundation seemed thicker and creamier than a lot of other foundations I have used before. With very little product, half of my face was completely covered. This to me is great, I love getting as much use as I can out of a product so the less I have to use the better. It blended smoothly, and quickly with the beauty blender. I then tried the other side of my face with a foundation brush, and that worked just as well. I think I liked the beauty blender better because I ended up using less product and I prefer a little more moderate/sheer coverage than full coverage. It was very quick to dry and set on my face which I liked! It did not leave my skin feeling dry or irritated, instead, my skin felt breathable, hydrated and light. On top of that, it left my skin with a natural, matte finish that looked flawless. I also noticed a difference in the noticeability of my pores which is always something I struggled with! One thing I will bring up is the fact that the product says it is 100% fragrance-free but I still notice a strong makeup or sunscreen smell, that I didn’t necessarily like too much when I first opened the product. So on initial impressions, Clinique did really well with this formula. 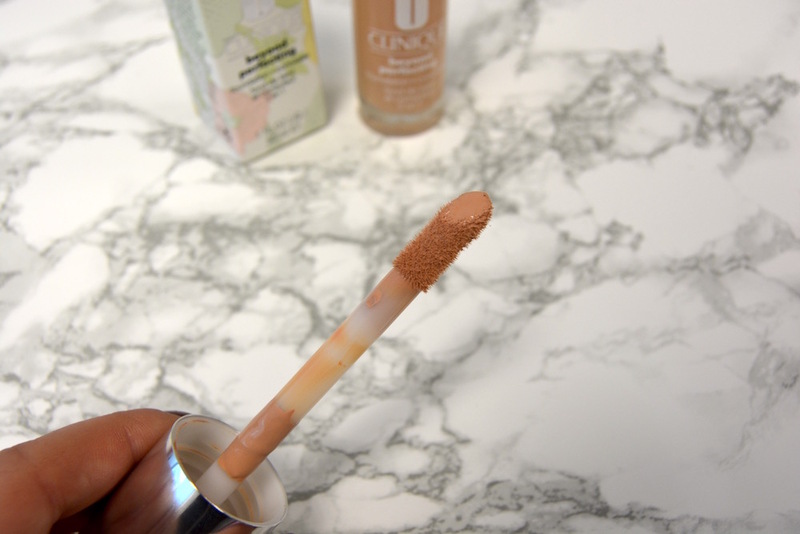 It applies and blends beautifully as a foundation with both a blender and a brush depending on your preference and it will leave your skin with a naturally flawless finish. After applying the product as a foundation I then tried to apply it as a concealer. Dabbing the wand lightly under my eyes careful to only use a bit of product, and a couple other spots on my face I found that it covered everything really well and didn’t sink into my fine lines like a lot of other products do. The only thing I did not love about using this formula as a concealer is that I found a bit of creasing under my eyes as the day went on. This is probably because of the weight of the product and my lovely under eye wrinkles to help the cause, so I really can’t blame the foundation. Checking In – How it looked & felt during the day! After the foundation was applying at 7:30am. 9am: Looks flawless, no creasing and complete coverage. 12pm: A bit of creasing under my eyes, foundation looks great, skin feels light and airy. 4pm: Skin still feels refreshed and breathable, foundation wore off in a couple small spots on my face but all and all still looks great and natural. A bit of shine but nothing powder can’t fix! I’ve heard a lot of people are against this type of wand because of the bacteria and germs that can build up in your foundation overtime but I actually really enjoyed it. It made it easy to apply as a concealer, and as a foundation. If you are worried about bacteria build up in your foundation just dot the wand on a clean beauty blender and apply from there! Concealer Vs. Foundation. Which is it better for? Overall, I think Clinique’s Beyond Perfecting Formula is a great foundation and concealer. I found as a concealer if applied a bit too heavily in places there would be creasing. Maybe the consistency of the product is a bit too heavy for certain parts of the face but it feels light as a feather on your skin and looks great! It just applies heavy so be careful with how much product you use and try it yourself. 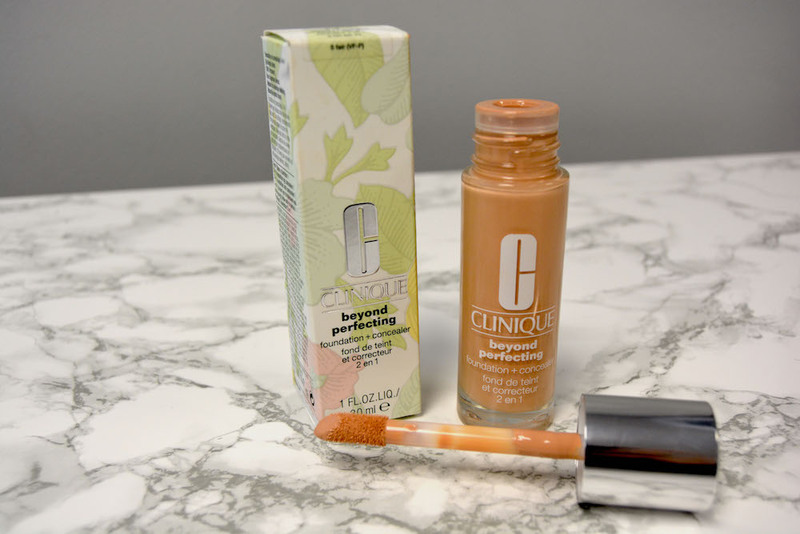 Have you tried Clinique’s Beyond Perfecting Foundation & Concealer? We want to hear your thoughts in the comments! I would love to be apart of club social. It’s very important to me to use quality products, for descent prices. When I am choosing a product I always check reviews first. Which basically decides for me if I’m going to purchase that product. 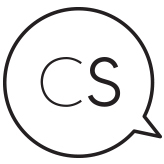 If I was apart of Club social I would definitely give legit reviews.